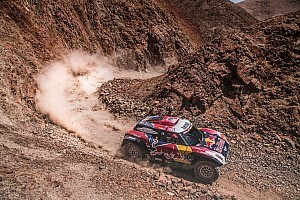 The eve before the marathon stage is always longer then the seven working hours of a “normal” day, but it was even longer for the mechanics of the De Rooy team after that Gerard De Rooy broke his steering wheel in the third stage, and Maurik Van den Heuvel had to stop to help him replace it. 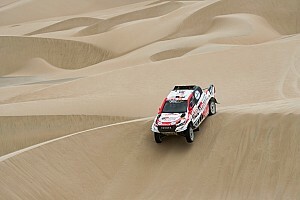 As the race trucks arrived very late at night, the mechanics started to work on the major problems before focusing on the preparation of the vehicles for the fourth race day, Arequipa – Tacna, first part of the marathon stage. 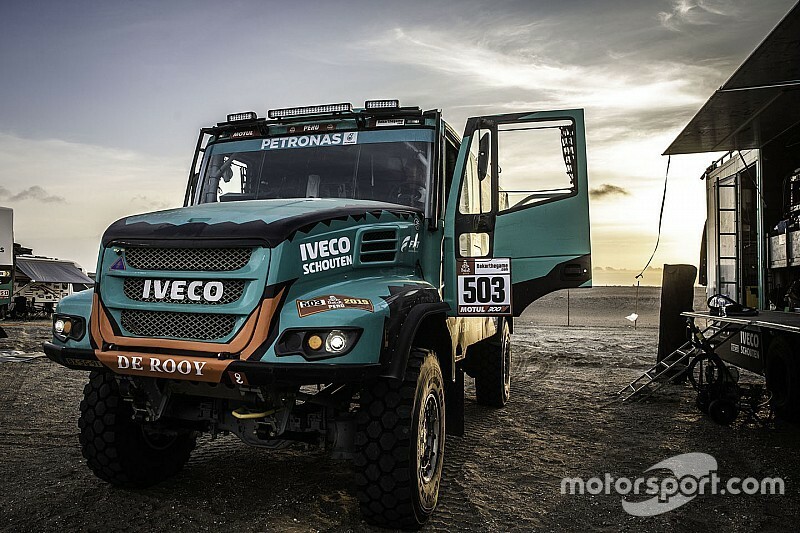 We asked Van Drunen, the chief mechanic of the Petronas De Rooy Iveco Team what happened to the captain of the team and how they prepare the trucks for the marathon stage. First of all, what happened to Gerard De Rooy? What job did you do on the trucks? Which extra items are the trucks bringing to the marathon stage? Which is the weakest part on a truck?